Twin Wolves is an indie video games development studio born in April 2016 and set in Italy. The team is made of experienced, talented and promising professionals driven by a strong passion for digital entertainment. The core team has previously worked in some of the biggest videogame development studios in Italy and Europe. As an indie studio we’re a small team and everyone’s skills are pushed to the limit. With passion and the will to improve themselves and build amazing vide games, the whole team works every day with the goal of delivering video games to be proud of. We’re currently working on LIZ: Before the Plague, a VR game experience for PC, and other side projects. Our main objective is to create video games with a strong narrative, storytelling component a lot of emotional communication. 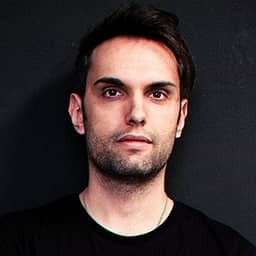 Luca is working in the field of gaming for 6 years, initially as an indie one-man-team junior developer and, the latter 5 years, as gameplay programmer and software architect in a company where he developed video games for all main mobile platforms, PC, Steam, PS4 and Xbox One, as well as minor gaming consoles, growing as a professional. Recently he founded Twin Wolves, an indie video games development studio, where he's the CTO. Paola started to work in the game industry in the 2012, as QA Tester, then as Score and Level Designer and finally as Game Designer. 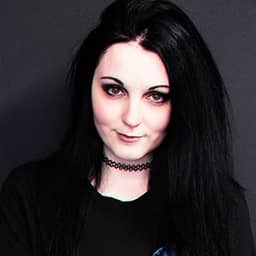 She worked for Ubisoft Studios in Milan and Paris in the Just Dance brand and she also collaborated with international companies. In 2014 she started to work in the mobile game world as Game Designer. After all the experience in other studios, she decided to open her own indie video games development studio. Alessandro studied building engineering, but with always a strong interest in 3D and videogames. Then he changed his path and made this interest his main job, after 2 years of studying 3D animation in Mohole (MI, Italy), also as the best student of the years. After the same school wanted him as a teacher of Cinema4D, Photoshop, Realflow and ZBrush, and at the same time working with architects and designers as 3D archivisual and for the television. Irene worked as a freelancer Graphic Designer for a couple years, while exploring fields like digital painting, photo manipulation and 3D modeling. Then, she decided to grow this last interest into something more, enrolling in the CG master at BigRock (TV, Italy). During this period, she fell in love with animation, deepening her knowledge with an animation workshop with Karin Kempf, and a Game Animation Workshop with iAnimate. She worked at the short film "Robot Will Protect You", then she found Twin Wolves. Paolo is working working in the illustration and creativity'world for over 15 years. Since 1994 he started to collaborate with several italian publishers as a comics artist. Being very curious and always interested in developing new technologies about graphic and illustrative, beginning to experiment with digital illustration, managing to create the material on their own, both in the coloring that the draw. Those skills brought to long cooperation with many prominent authors of the comics market and with many Italian publishers and not, until you come to a solid partnership with US-based Hyperion Books for Children (headed by Walt Disney), for more than five years. His passion for Movies and Videogames led him to follow the evolution of these areas, pushing him to learn different software dedicated to the creation of 3D models, texturing, animation and vfx. He has strong knowledge of softwares like Photoshop, Manga Studio, Cinema 4D, ZBrush and After Effects. 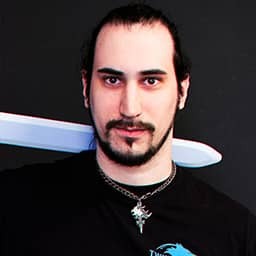 In the last 4 years he worked for different Game studios and clients, and he became a teacher of various digital techniques for private and associations. Alberto worked as a composer and sound designer mainly for short movies, documentaries and commercials for international clients and companies including Benetton, Domori, Rossi&Rei, Imago Mundi, De Poda and more. Since 2014 he collaborates with indipendent developers from all over the world (USA, Sweden, Egypt,...) for videogames, partecipating in several game jams such as Ludum Dare (2015 edition). In 2017 he's awarded with Fabrica scolarship as composer; here he delivers more than 100 songs and he follows the new Benetton collection under Oliviero Toscani. In March 2018, Alberto starts his collaboration with Twin Wolves Studio. Want to be part of our studio? We are always looking for talented individuals with a strong desire to make great video games. Get in touch by filling the application form here. For any question, collaboration or work request fill the form or send us an e-mail to contact@twinwolves-studio.com.